Those were the words of the local police officer who sidled up to my passenger door last week. I’d pulled over quickly, but I was driving a Michigan-plated press car through the heart of a Central Ohio suburb, and the blazing spotlights atop the Explorer Police Interceptor multiplied the tension. Ran out of daylight when I went to shoot the #lexus #lc500 . This one turned out ok, I guess. Review coming soon to TTAC, but this bellowing 471hp Lexus isn’t subtle. Perhaps if I were in a minivan, I’d have escaped the gaze of the local constabulary. Whether you chalk it up to white male privilege, properly-timed driving prudence, or overwhelmingly good fortune, I’ve been *knock wood* remarkably lucky to have only been ticketed twice in over twenty years of driving. And I’ve only paid one of those tickets. The second of my two tickets was a simple matter. Heather and I were driving north from our first vacation together on the Carolina coast, and we stopped to see her family along the Ohio River. I made the executive decision to take State Route 60 out of Marietta along the “scenic” Muskingum River, rather than the dull Interstate. I was driving spiritedly, but not recklessly – but the county sheriff didn’t like this city boy driving his “foreign” car (Ohio-built Accord) so fast on his twisty roads. Thus, I was ticketed for 65 in a 55mph zone. My first ticket was a bit more…involved. I was 17. What lunatic allows a seventeen-year-old kid drive a race car like this 150hp Nissan Maxima? Once again, I was driving along a sinuous road along a river – this one was actually called Riverside Drive! – and I was driving spiritedly. I know that I did hit the brakes before I the officer spotted me. I’m also nearly certain that I saw a third digit light up on the fabled Nissan digital dashboard before I stomped the pedal. The ticket was written for 76mph. In a 50mph zone. Since I was under 18, the ticket had to go through the county juvenile court, rather than suburban mayor’s court. And I had to bring a parent. I went to the courthouse a day early to ask how much the fine might be, so I could tell my dad the night before he would have had to accompany me to court. I parked that demon Maxima in the courthouse garage, and walked to the clerk’s desk nervously. I needn’t have been so skittish. The clerk searched, and couldn’t find record of any offense. “Are you sure?” I bleated. That’s all I needed. I turned on a heel and fairly sprinted to my car. Never heard about it again. I dug through the Lexus’ glovebox to find the registration and insurance paperwork from the press fleet management company. The officer was shocked to see a local address on my license – again, the Michigan plate may have influenced him, though I don’t dispute for one moment that I was driving a bit more aggressively than I should have been. 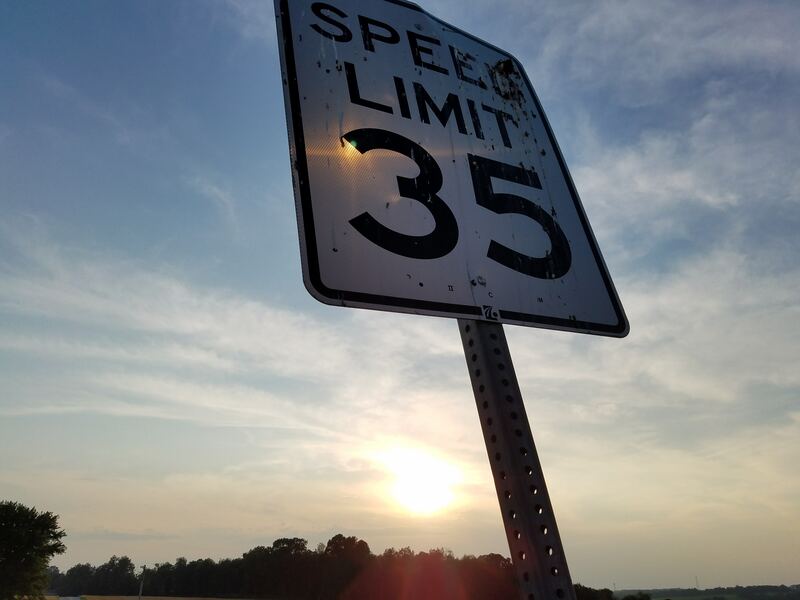 I dropped all humility and confessed that I honestly had no idea how quickly I had been going – 49mph in a 35mph zone, as it turns out. I’m convinced that – barring extraneous circumstances that may lead to negative consequences – simply laying oneself at the mercy of the police can be the best way to avoid talking oneself into a ticket. Indeed, after running my ID and seeing that I wasn’t a repeat offender or otherwise wanted, he let me off with a warning. Another plus – I started seeing better fuel mileage after I stopped hooning the big Lexus at every opportunity. Instagram photo and pic of young Chris by me, obviously. Lead photo by George Huffman on Unsplash. Next It’s not often that I get excited about a diesel engine.